Located on the banks of the beautiful Moon River, Wesley Gardens Retreat Center is our second campus where we gather on Sunday evenings during the summer for a time of food, friendship, and worship. We also meet throughout the year for other various events. Our annual Easter Egg Hunt takes place in the spring. The summer months are busy with Vacation Bible School and Summer Camp. 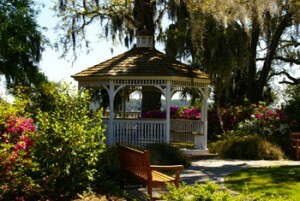 Then in the fall, we host our annual Fall Festival and a youth sponsored Low Country Boil. Whether a stroll on the trails, time alone on the dock, or an overnight stay in the cottage, we encourage members to use the Retreat as part of their spiritual formation. 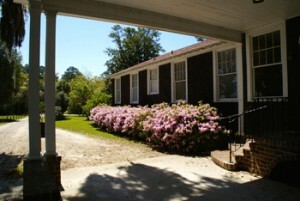 It is also an ideal location for church-wide retreats, meetings, picnics, or reunions. 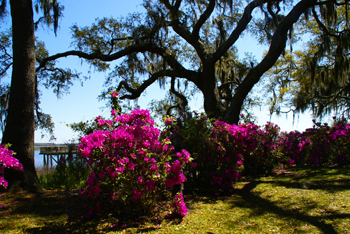 To learn more or check for availability, please visit Wesley Gardens Retreat.